My entry this month at Patties Creations. It's "anything goes" month, and I chose "LATTE LOVE"
to make a card for my coffee loving friends, who had an anniversary coming up. "Latte love" was beautifully easy to colour with my promarkers, and to cut out. I have put it on 3d foam, to give some dimension. and a dymo-label sentiment finished this card. 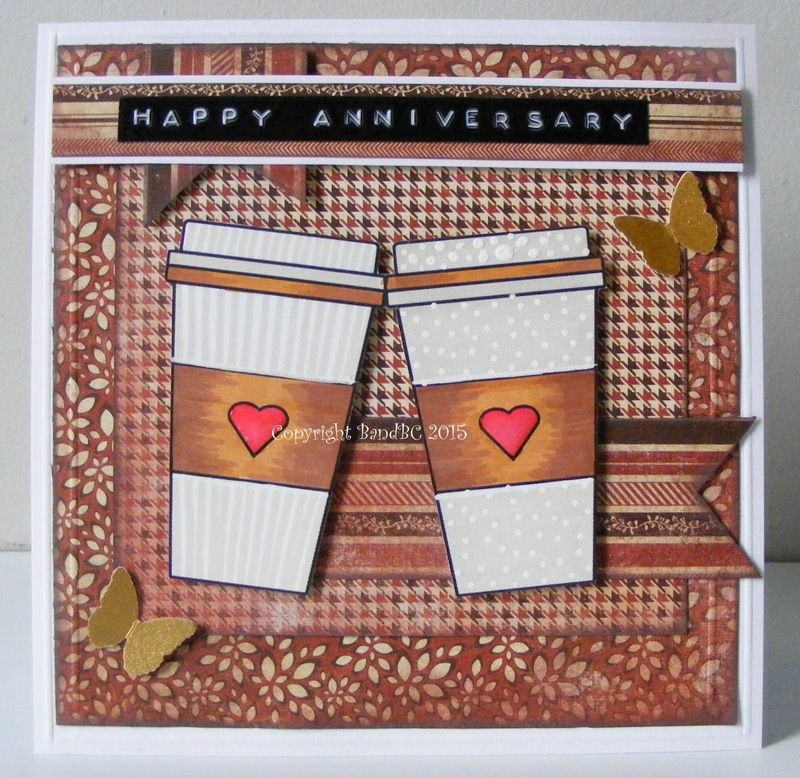 Vicky - great idea of using this Image for an anniversary card! Well done on the coloring too! What a super card for your friends.Just love the colours and layering.The dymo label sentiment is a great addition.Thanks for joining us at Craft Your Passion.Hope to see you again next week. Great color palette and design! Thanks for sharing and joining us at Inspiration Destination Challenge Blog. Hope to see you again and good luck! I love all of the dimension on your card! Thanks for joining us at Crafting from the Heart this week. This is a great card and I love how you colored my image. Lovely creation and original idea!